Our Showroom is available for viewing by appointment only Monday to Friday 830am to 330pm, except public holidays. If you wish to make an appointment please email sales@uduit.co.nz with a date and time and we will confirm by reply email with details. 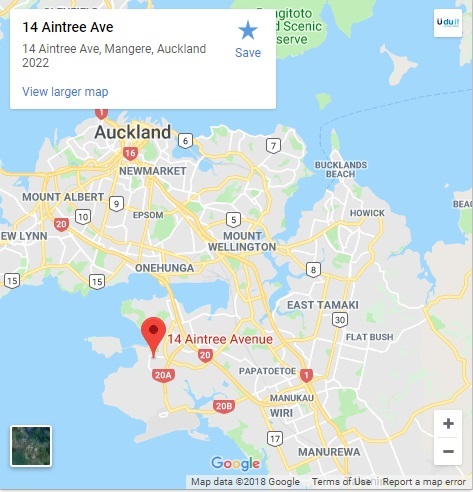 Showroom address: Airport Oaks, Mangere, Auckland 2022. Viewing by appointment only. UDUIT is a 100% online service. All orders are placed by you via the website. Any enquiries are answered by email. Why 100% online? The goal of UDUIT is to provide the most affordable interior cabinetry to customers as efficiently as possible. To achieve this, we've set up the system so there is absolutely no one between you and the manufacturer. No middlemen, no expensive advertising, and no large sales team. Our team knows the product inside-out because they are solely focused on manufacturing your order. As mentioned showroom viewing is by appointment only. Below is an indication of the location of the showroom.